One of my favorite lunch place while working in Singapore Science Park is the boneless duck shop down at the end of South Buona Vista Road. 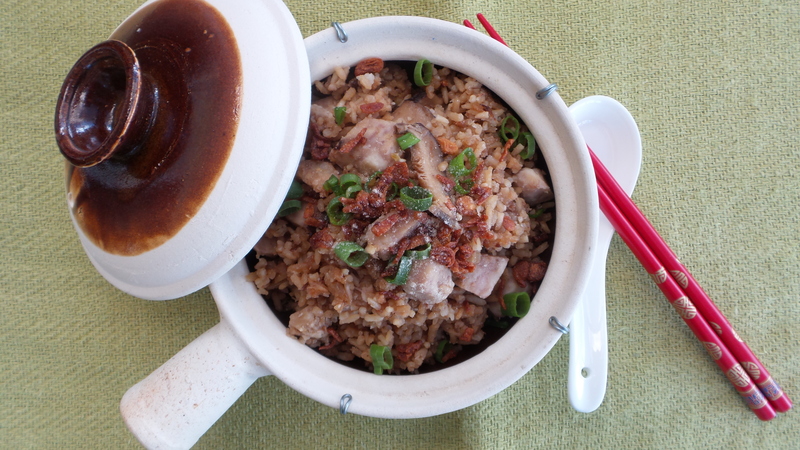 The tender braised duck is served with their signature thick soy sauce over a plate of fragrant yam rice. 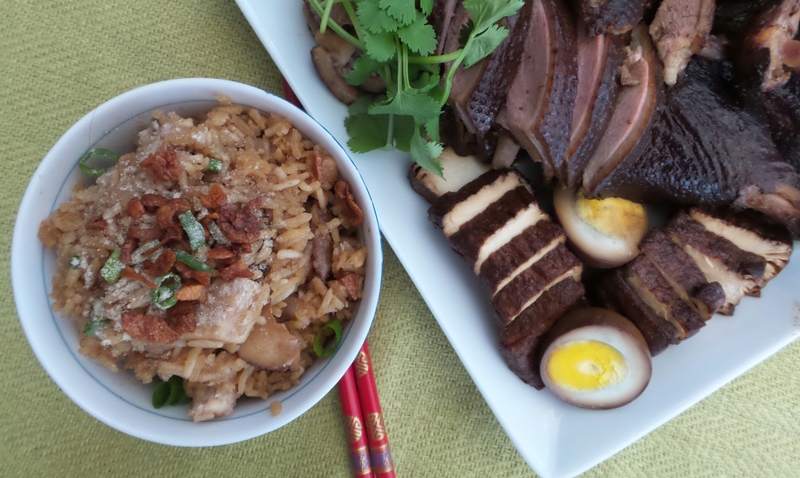 Since I made my first braised duck this weekend, I decided to make the yam rice as well to relive this fond memory. Heat oil in wok over medium high heat. Add shallots, white part of green onions, and garlic. Stir fry until fragrant. Add the mushroom slices, minced dried shrimp, and white pepper. Stir fry until the shallots starts to turn golden. Add the taro cubes and rice. Stir fry until well mixed and heated through. Add in the soy sauce, oyster sauce, white pepper. Stir until the sauce is blended with the rice and taro. Transfer the rice mixture to the rice cooker. Add the chicken stock and stir well. Cook according to the rice cooker instructions. Scoop into serving bowl. Garnish with a sprinkle of chopped green onions, fried shallots, and a dash of ground white pepper. Since I also cooked Teochew braised duck this weekend, I thickened the braised duck gravy with a Tbsp of cornstarch dissolved in 2 Tbsp of water. 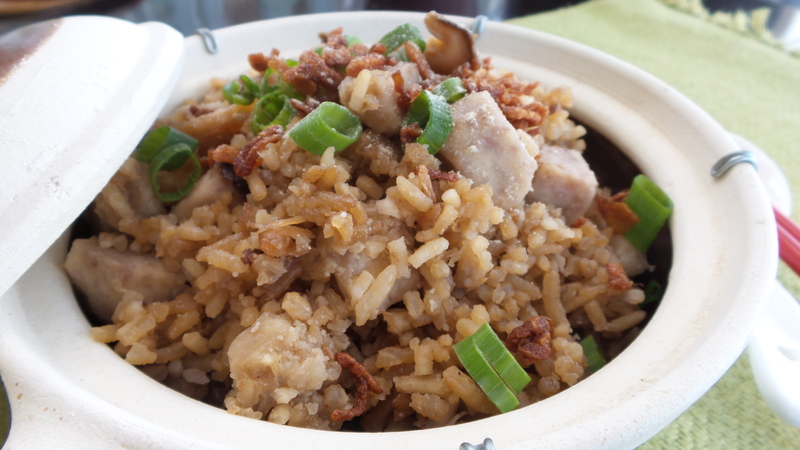 Drizzle the thickened sauce over the yam rice and serve with braised duck, egg, and tofu. My dream of Buona Vista boneless duck came true!